As someone who hates to waste food, I’ve been doing a pretty good job of cleaning out the fridge and freezer before our move, especially considering I only had about a week’s notice to halt all food shopping. You’d think it would be quite difficult to eat at home when all your stuff is packed, but me being, well, me, I kept a few essential kitchen tools out, to be moved in the car with me. 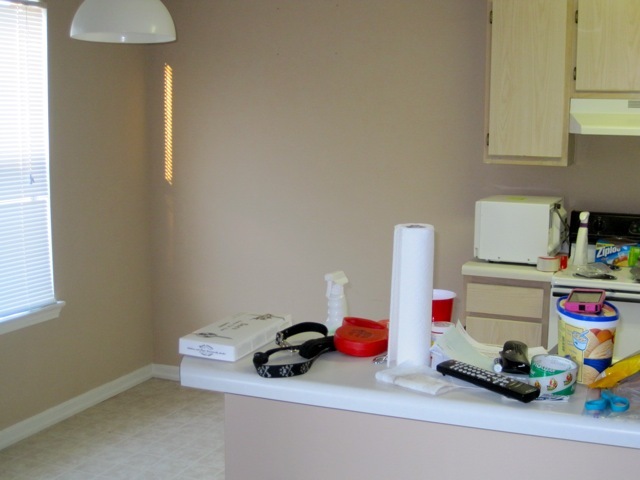 A cutting board, a big knife, a baking sheet, the microwave, a pot and a pan, silverware for two. Just the basics. Most of the mix and match meals I’ve been creating can’t exactly be called cooking, but they feed us and that’s what matters. Last night’s meal was creative but also quite delicious and blog-worthy! 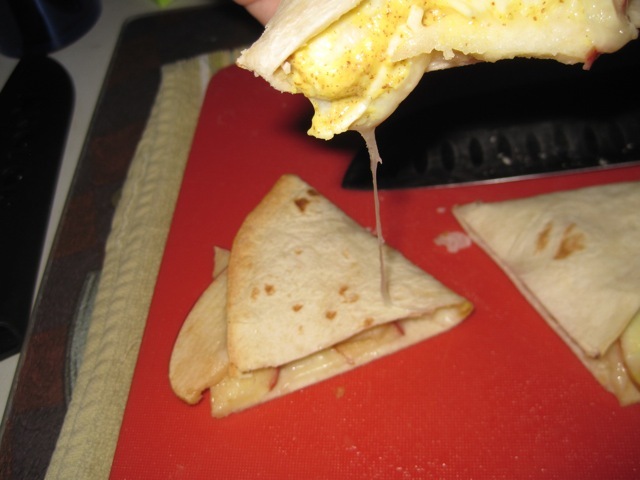 I would actually make these again, even if I weren’t trying to empty the fridge. I call them Clean Out the Fridge Quesadillas. 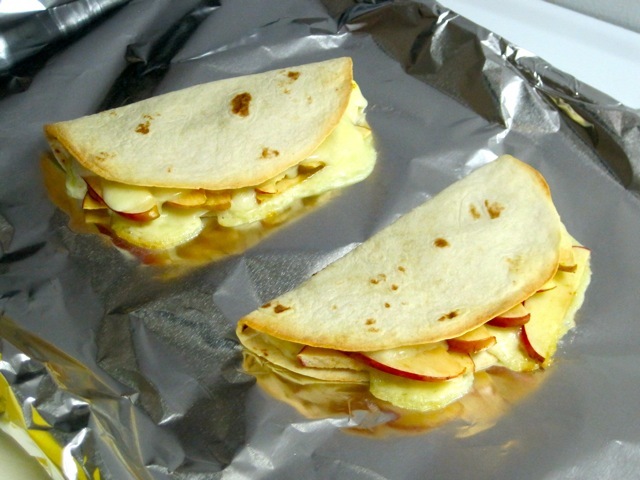 AKA, Apple Jack Quesadillas. Luckily, we still have a couch for sitting. 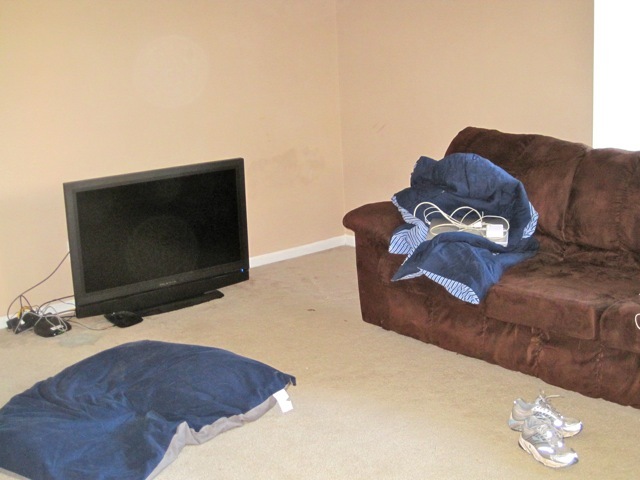 I’ve never been a fan of this couch (the cushions fall out, one is missing stuffing that Kaiser ate, it smells like dog…), so I’m quite excited that it’s being left behind. Hellooooooooo new sectional! Anyways, I scrounged up these ingredients for last night’s dinner. Preheat the oven to 375 degrees. 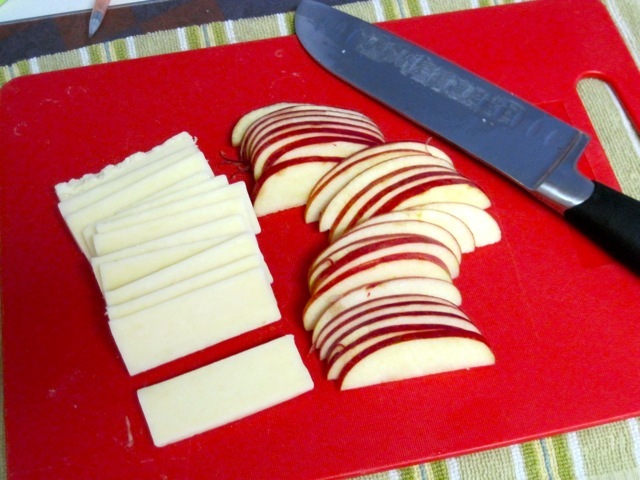 Thinly slice the apple and cheese. 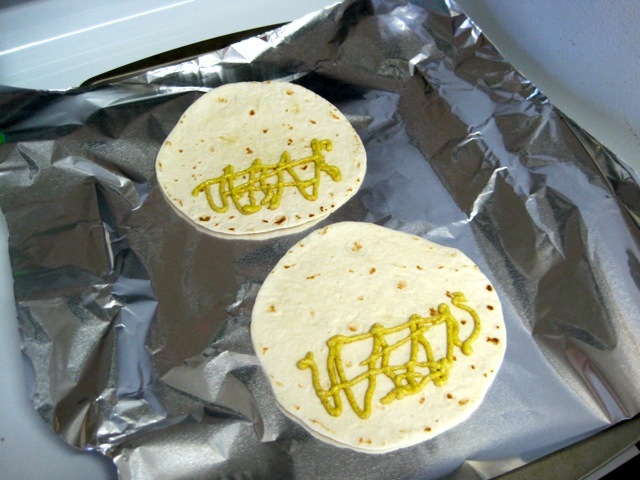 Place the tortillas on a baking sheet and spread mustard on half of each. 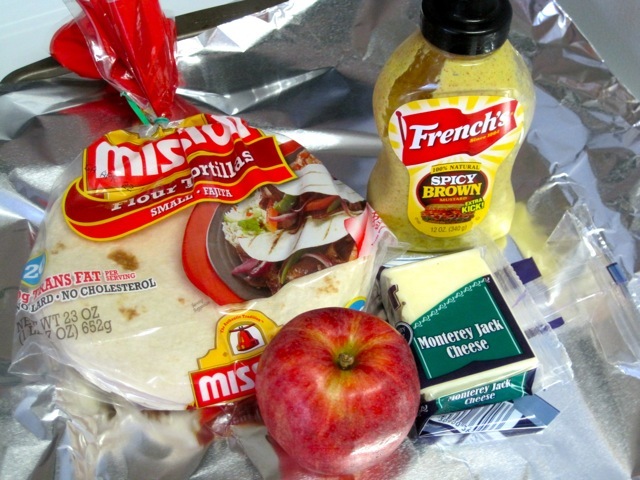 On top of the mustard, put down a layer of cheese, a layer of apples, and another layer of cheese. Fold the tortillas in half, making half moon shapes. 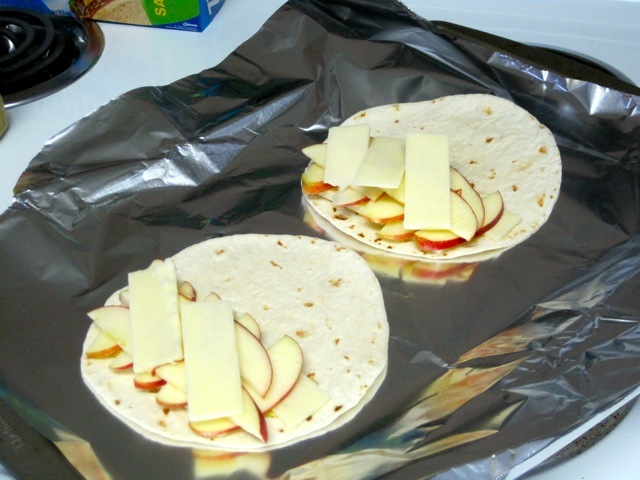 Bake about 10 minutes until cheese is melty and tortillas are just slightly brown and crispy. 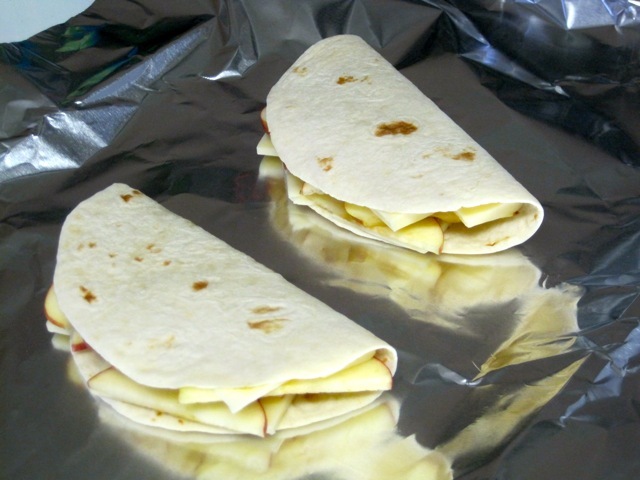 Let the quesadillas rest 1-2 minutes and then cut into thirds. 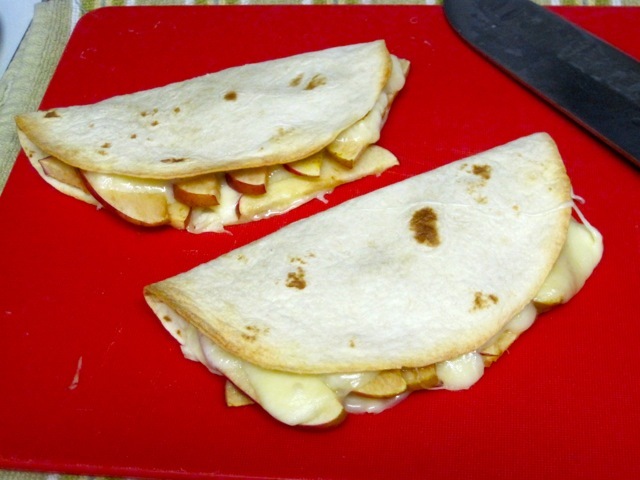 The idea for these quesadillas came from a sandwich I used to always get in college at my favorite Fairfield spot (Chef’s Table, for those of you who were lucky enough to spend those 4 years with me). 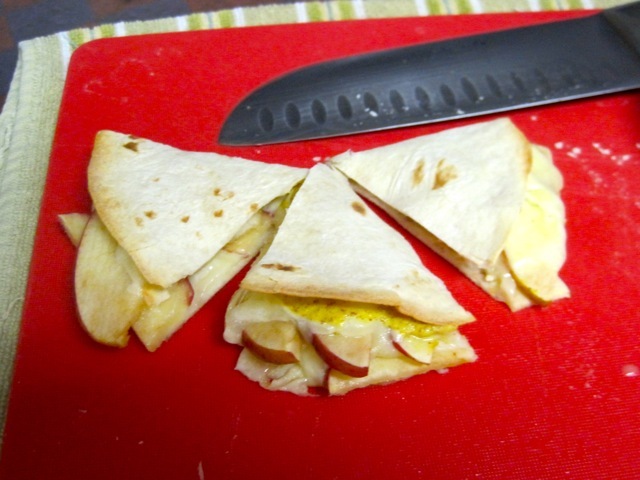 It was a turkey, apple and brie panini with spicy honey mustard. 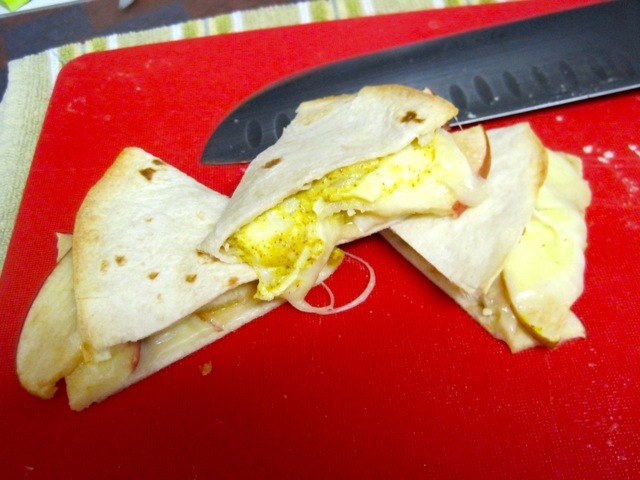 I know there’s no turkey here, but I knew the apple, cheese and mustard combo would work perfectly. And it did. These were awesome! After Nick had a few pieces, he asked for more… but I’d already polished the rest off. Whoops! Only 3 more days of camping in the apartment! And just like that you have a great snack. I love it when its simple, although my mind can never come up with simple ideas. Thanks for sharing.